With the Atlantic League championship being decided last night, the 2017 Independent League season has come to an end. Here is a look at all of the champions throughout independent baseball this year. The 2017 Atlantic League playoffs have come to an end, and the York Revolution are this year’s Atlantic League champions.The Revolution defeated the Long Island Ducks three games to none to earn their third championship in franchise history. York reached the ALCS by claiming a three games to one win in the best-of-five Freedom Division Championship Series over the Southern Maryland Blue Crabs. The Ducks defeated the Somerset Patriots three games to one in the best-of-five Liberty Division Championship Series to claim their second consecutive Liberty Division title. (September 29, 2017 – York, Pa.): Down a run in the eighth, Telvin Nash launched a go-ahead two-run home run to right-center as the York Revolution came from behind to defeat the Long Island Ducks, 3-2, capping a three-game series sweep as the Revs claim their third Atlantic League championship in 11 seasons. The game was played in front of a raucous crowd of 5,415 fans at PeoplesBank Park on Friday evening. Trailing throughout the night, the Revs came from behind for the third time in as many games in the series, and won their third consecutive one-run decision en route to the thrilling three-game sweep. Down 2-1, Rubi Silva (4-for-4) led off the bottom of the eighth inning with a bunt single off lefty Dustin Richardson. Right-hander Matt Marsh was called upon to face Nash, and the Revs’ first baseman connected on a 1-1 fastball, hammering a towering two-run homer that just cleared the fence to the right of the batters’ eye for a go-ahead two-run homer, as the Revs took a 3-2 lead in dramatic fashion. Having tallied ten outs over the previous two nights, closer Chase Huchingson ceded ninth inning duties to right hander Grant Sides, who had earned the victory in each of the first two games of the series. Marc Krauss clubbed a drive toward the wall in right, but as those in attendance held their collective breaths, Jared Mitchell leapt in front of the fence to reel in the first out. Sides struck out Alex Burg for the second out, bringing the Revs within one out of a championship. Angelo Songco kept the game alive with a single to right and pinch-runner Jordan Hinshaw stole second to put the tying run in scoring position, but Sides retired Delta Cleary, Jr. on a ground out to short, as Ryan Dent gloved and fired to Nash at first, setting off a wild celebration between the mound and home plate as the Revs celebrated their third championship in franchise history and first since 2011. The Revs trailed most of the night. Long Island struck first with a run in the third as Anthony Vega led off with a single, stole second, advanced to third on a throwing error, and scored on a Giovanny Alfonzo single to right. Long Island added another run in the fifth as Vega reached on a one-out walk, took second on a passed ball, moved to third on a bloop single by Dan Lyons, and scored on a wild pitch. Revs starter Victor Mateo was solid, allowing only two runs (one earned) in 5.2 innings. The Revs were frustrated offensively by Ducks starter John Brownell, missing an opportunity in the fourth when Silva led off with a double to right but was stranded. York finally got on the board in the sixth with a two-out RBI single to center by Isaias Tejeda, plating Silva who had singled with one out. A walk to Travis Witherspoon loaded the bases with two outs, but reliever Rob Rogers entered to induce a pop out, keeping the Ducks’ lead intact at the time, only to be erased on Nash’s heroics two innings later. Michael Click (1-0) picked up the win with 1.1 shutout innings in relief. A huge turn of events came in the top of the eighth when Silva ran down a bloop pop by Elmer Reyes, making an over-the-shoulder grab and firing to first where Nash made a great pick to retire Alfonzo on a double play. Click whiffed Lew Ford on a 1-2 cutter for an inning-ending strikeout, setting the momentum for the decisive home half of the inning. Notes: Following the game, Nash and Huchingson were named Co-MVPs of the Championship Series. Sides added his first save of the playoffs after setting a Revs playoff record with his third win in Game Two on Thursday. Huchingson set a Revs playoff record with three saves during York’s run to the championship. Nash tied a Revs postseason record with three home runs, matching Bryant Nelson (2011), including a pair of last at-bat game-winning home runs. Nash’s eight RBI in the postseason also tied a franchise record (Ian Bladergroen, 2010). The Revs went 6-1 during their playoff run, and won 13 of their final 16 games overall. The Revs improve to 9-1 all-time in Championship Series games (5-0 at home), having secured their second sweep. The championship is their second clinched at home (also 2011 vs. Long Island). In just 11 seasons, the Revs have matched the Ducks for the second most championships in Atlantic League history with three, trailing only Somerset (six). WINNIPEG, MB – The Winnipeg Goldeyes beat the Wichita Wingnuts 18-2 in Game Five of the American Association Championship Series at Shaw Park on Wednesday night. The Goldeyes win the best-of-five series 3-2 and are the 2017 American Association champions. It is the Goldeyes’ third championship in the last six seasons and the fourth in franchise history. The Goldeyes are the first American Association club to win back-to-back titles since the Fort Worth Cats in 2006 and 2007. Goldeyes’ first baseman Shawn Pleffner hit for the cycle, while starting pitcher Edwin Carl set a franchise record with his fifth postseason win. Pleffner lined a single to left-centre leading off the bottom of the second and took second when David Bergin singled to centre. After Wes Darvill sacrificed the runners ahead, Mason Katz smacked a double off the wall in left to drive in Pleffner and Bergin with the game’s first runs. Andrew Sohn followed with a sharp single up the middle that scored Katz. After Casey Turgeon singled through the left side, David Rohm singled through the left side to score Sohn and stretch the lead to 4-0. Alex Boshers relieved Wingnuts’ starter Tim Brown and walked Josh Romanski to load the bases. Reggie Abercrombie then plated Turgeon and Rohm with a single through the right side. Pleffner capped the inning with a line drive, three-run homer to left that made it 9-0. Rohm singled up the middle leading off the bottom of the fourth and advanced to second when Romanski walked. Abercrombie smashed a double inside the left field line to score Rohm, and Pleffner extended the lead to 12-0 with a two-run double to right centre. After Seth Harvey relieved Boshers, Bergin crushed a two-run home run over the batter’s eye in centre field. Abercrombie drew a leadoff walk in the bottom of the sixth, took third when Pleffner reached on an error by centre fielder Jacob Morris, and scored the Goldeyes 15th run when Bergin singled through the left side. The Wingnuts got on the board with two runs in the top of the seventh. TJ Mittelstaedt and Matt Chavez opened the inning with consecutive singles. Richard Prigatano doubled down the right field line to score Mittelstaedt. Chavez then scored on a wild pitch. Mitchell Lambson relieved Carl and struck out Morris and Leo Vargas back-to-back to end the inning. After Lambson worked a perfect top of the eighth, the Goldeyes added three more runs in the bottom half. Pleffner completed the cycle with a leadoff triple to right-centre and scored two batters later when Darvill singled through the right side. Darvill hit safely in all nine of the Goldeyes’ postseason games. Katz followed Darvill with a long, two-run home run to left-centre that provided the game’s final margin. Victor Capellan closed out the game with a scoreless top of the ninth, retiring Brennen Salgado on a groundball to second for the final out. Carl (2-0) allowed two earned runs on five hits in six and one-third innings. Carl walked three and struck out three. His five postseason wins over the last two years surpass Rick Forney for the Goldeyes’ franchise record. Brown (0-1) took the loss, allowing six earned runs on seven hits in one and one-third innings. Brown walked none and struck out one. All nine Goldeyes’ starters had at least one hit and one run scored. Seven Goldeyes had at least one RBI. Wednesday was the 13th Game Five in a postseason series in team history. The Goldeyes are now 7-6 in Game Fives, and improved to 20-15 when facing elimination in the postseason. The Goldeyes won the Northern League championship in 1994, while capturing the American Association title in 2012 and 2016. Quebec stormed out to a 5-0 lead after two innings of play and would never look back as they defeated Rockland in game three, 9-3, to win the 2017 Can-Am League championship. The Capitales pounded out 12 hits in the contest with five batters having multi-hit games. Quebec LF James McOwen went 3-for-4 with a home run, two runs scored and RBI while DH Balbino Fuenmayor added a pair of blasts and three runs batted in. Shortstop Yordan Manduley also chipped in two hits in five at-bats, two runs and a RBI for the Capitales. Quebec starting pitcher Karl Gelinas allowed three earned runs over 7 1/3 innings pitched to notch the win. Gelinas gave up three walks and five hits to along with four strikeouts. For Rockland, C Marcus Nidiffer went 1-for-3 with a two-run home run. This is the Capitales seventh title in the Can-Am League and the first one since 2013. FLORENCE, KY – The Schaumburg Boomers, presented by Wintrust Community Banks, hit four homers on the way to a 6-2 win over the Florence Freedom to become the first team in Frontier League history to win three championships. Schaumburg set the tone early. Kyle Ruchim led off the game with a double but did not move. Sean Godfrey put the Boomers ahead early for the first time in the series with a solo homer over the wall in left with one away in the top of the second. Schaumburg had fallen behind in each of the first three games. Florence evened the game in the bottom of the third on a two-out RBI single from Taylor Oldham following a pair of walks. The Boomers quickly established control in the top of the fourth. Rock Shoulders led off by pouncing on an 0-2 pitch, roping his second homer of the playoffs over the wall in right to hand Schaumburg a 2-1 advantage. Godfrey followed with his second homer of the game to push the margin to 3-1. Ruchim doubled home James Keller later in the inning to hand Schaumburg a 4-1 lead. Two more would come across in the top of the sixth. Jack Parenty, who did not homer in 232 regular season at bats, blasted an offering over the right field wall, making the lead 5-1 with the fourth longball of the night. Parenty was making his first start of the series and finished with a pair of hits. Zack Weigel added a sacrifice fly to plate Ruchim and make it 6-1. Florence notched a two-out run in the bottom of the inning to draw within 6-2. Starter Kit Fowler worked three innings but did not factor in the decision, allowing a run on two hits with three walks and two strikeouts.Michael Wood, Fowler’s college teammate at Tennessee Tech, collected the win by working 4.2 innings of relief in his first career playoff appearance. Wood allowed a run on four hits while accumulating four strikeouts. Kyle Westwood recorded a strikeout of Keivan Berges to leave the bases loaded in the eighth. Westwood pitched in three games of the series and struck out seven in 4.1 innings. Jake Joyce closed out the win. Schaumburg finished with nine hits in the game. Ruchim, John Holland, Godfrey and Parenty all notched a pair of hits. The Boomers had connected on just two homers in the series and four in the playoffs prior to the clincher. The Boomers (66-30, 6-2) have won three titles in just six years as a member of the league. The previous championships came in back-to-back years in 2013 and 2014. Prior to this season, the 25th in Frontier League history, six teams had won a pair of titles. Utica, MI – The Birmingham-Bloomfield Beavers and the Westside Woolly Mammoths put on a spectacular show at Jimmy John’s Field in the 2017 USPBL Championship Game on a beautiful day this Sunday, September 10th, 2017. Beavers ace Randy Wynne led his team and they were able to produce big runs. The Beavers won the game 5-2 and coming off last years Championship loss, this one felt good. “I put my club together to win a Championship. I knew that if I had the right players in here we would accomplish every goal I wanted,” Beavers Manager Chris Newell said. The Beavers finished the regular season with the best record but that wasn’t enough. They consistently dedicated themselves to progressing on and off the field and in turn they were rewarded with the Championship trophy. Despite the injuries and key pieces of their team not in the lineup, they were everything but absent. One of these members includes DJ Martinez, the Beavers starting shortstop for the 2016 and 2017 season. Martinez went down with a hamstring injury in the later part of the season and was inactive for the Championship game. “He was our third coach today and he deserves it more than anybody,” Newell said about his shortstop. Martinez may be the epitome of what this Beaver team stood for and that was their heart. They never once flailed their arms and wondered why something went wrong but how they could fix it. So they turned to their best arm in Wynne to inflict a purpose and send a message to the league. Wynne pitched a complete game and recorded a record-setting 14 strikeouts. “The strikeouts are nice, but as far as the numbers go, it’s not really about that for me. It is about controlling the game,” Wynne said. The scoring began in the third inning when Thomas Roulis led the inning off with a triple. DonAndre Clark was able to push across the first run with an infield single. The next batter, Brandon Rawe, was able to score Clark on a scorching line drive double to left field. The Woolly Mammoths tallied two in the seventh inning with an Alex Abbott opposite field two-run home run as he continued to stay hot at the plate. Beavers would quickly regain the lead in there half of the seventh on a clutch RBI single from catcher, Hunter Wood. The next batter Nicholas Buckner then hit a single to center to score Robert Paller. Paller wasn’t done contributing to the lead as he added an RBI double in the bottom of the eighth to tack on an insurance run for the Beavers. That was enough for Wynne who confidently went out for the ninth inning to complete his game. He struck out the first two batters of the inning and the rest was history. Wynne got a slow rolling ground ball hit back to him and just like that the Beavers were crowned. In a league so crucial to the development of players, the Beavers may have been the best candidates to win the Championship on this facet alone. They overcame odds, remained dedicated to a common goal and when it mattered most, they performed. A tip of the hat goes to the Birmingham Beavers as they win the second USPBL Championship and steer the league in the direction it was intended. The final score of the game was 5-2 and Wynne earned the win and the Beavers hoisted the trophy with nothing but pride and a bit of justice. September 2, 2017 – From worst to first. Usually when they talk about a baseball team accomplishing that feat, it’s through two separate seasons. The Vallejo Admirals did not want to wait until 2018. The Cinderella team from the Pacific Association completed the unthinkable on Friday, edging the Sonoma Stompers 11-8 in the league championship on one of the hottest days of the year. When left-handed reliever Andin Diaz struck out Derrick Fox to end the game, the Admirals dog-piled in front of the pitching mound and soon broke out the celebratory champagne and beer. Vallejo was an abysmal 12-27 in the first half of the season and then began the second-half slate 1-6 before winning 25 of its next 34 games. It’s been quite a ride for players like center fielder Tillman Pugh, who played on the Admirals’ inaugural season of 2013 as well as the 2014 team that finished just shy of getting to the league championship game. On Friday, the offense battered Sonoma starting pitcher TyRelle Harris for eight runs in 3 1/3 innings. Vallejo led 9-1 at one point and then held on for the tight three-run win. Catcher Mike Blanke crushed a two-run homer off Harris that ricocheted off the press box in left-center to give his team a 2-0 lead in the second inning. Harris departed in the fifth after he plunked Chevy Clarke with the bases loaded to make it 5-1. Reliever Logan Gillaspie walked David Kiriakos to force in another run, Pugh followed with a two-run double to left field and Shawn Payne added an RBI single to stake Vallejo to a 9-1 edge. Gillaspie settled down and retired 11 of 12 before third baseman Chris Fornaci hit a momentum-turning home runs over the bleachers in left field in eighth inning to make it 10-8. This was after Sonoma chipped away and trailed just 9-8 in the seventh inning. With the Admirals forced to use three of their better pitchers in the final regular season series at San Rafael, manager P.J. Phillips had to go back to Demetrius Banks, who had just two full days of rest. Banks wobbled a bit, but gave the Admirals four-plus innings and left with a 9-3 lead in the fifth after throwing 69 pitches in a victory on Tuesday. Marquis Hutchinson, who has been hobbled in recent weeks, relieved Banks in the fifth but could not retire a batter. Even though Tim Holmes calmed things down, the Stompers scored four times and trailed just 9-6. Sonoma (52-27) kept chipping away with single runs in the sixth and seventh to make it 9-8. Diaz entered the game with the potential tying run at second base in the seventh but he struck out Scott David and Brennan Metzger to end the threat. Diaz worked a 1-2-3 eighth inning and Phillips trusted him with the ninth and the lefty responded with another perfect inning. Phillips had usual closer Sammy Gervacio ready in the bullpen in case he needed him. The Admirals added one more insurance run in the ninth inning as Kiriakos walked, moved to second on a wild pitch and scored on Nick Akins Sr.’s sacrifice fly. It was quite a ride for owner Kevin Reilly as well. Reilly was a silent partner in 2015 and took over full ownership last season. “We finished in last place in the first half but (Phillips) told me, ‘Don’t worry. We will take the second half’ and then we went 1-6,” laughed the owner. 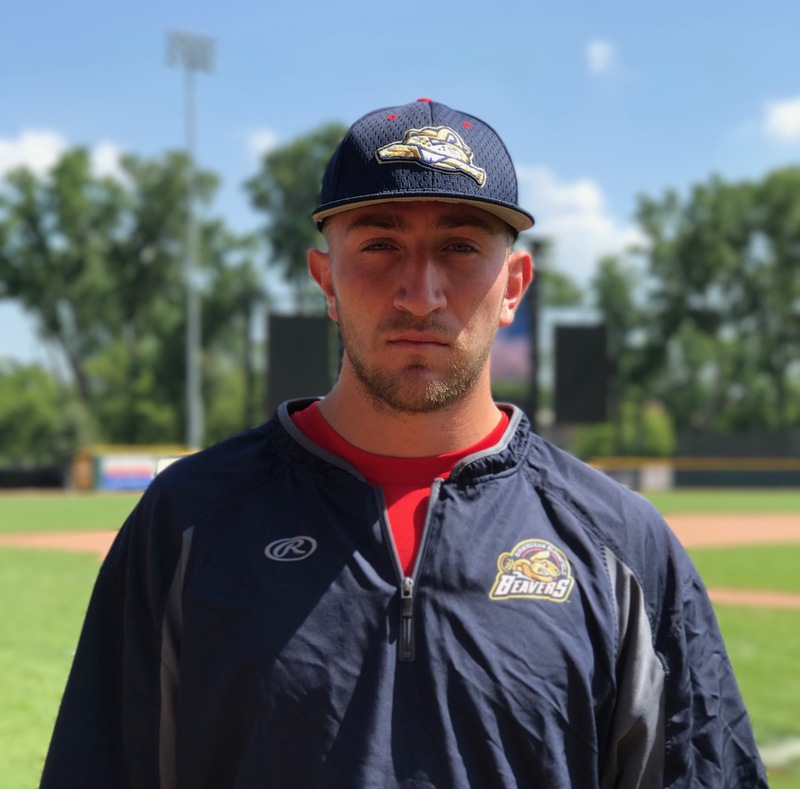 Reilly said he started to see the season change when Fornaci took over at third base and the Admirals eventually added Kiriakos at shortstop and Quintin Rohrbaugh at second base to complete the transformation in the infield. The High Desert Yardbirds defeated the Roswell Invaders 5-2 to win the Pecos League Championship in Roswell on Tuesday Night. The Invaders made six errors that lead to five Yardbirds runs. OLD ORCHARD BEACH, ME – The Plattsburgh RedBirds have done it. They are the 2017 Champions of the Empire League. The RedBirds defeated the Old Orchard Beach Surge by a score of 7 to 4. The RedBirds got an early 3-1 lead as Surge starter Eric Mozeika started the game off with a hit by pitch to Christian Nazario-Cruz followed by a 2-RBI single and a run that came in on a walk to give the RedBirds an early 3 run lead. The RedBirds added on when Josh Martinez had a 2 run single and ended up scoring on a passed ball. Gevon Jackson hit a solo home run to get things going for the Surge but it wasn’t enough to catch up. Surge would score 4 runs before running out of time. Closer Zach Breen got the final out with a strikeout looking to end it for the RedBirds to give the Plattsburgh RedBirds their first Empire League Championship. Brian Brademan was named the Championship Series Offensive MVP and Josh Martinez was named Defensive MVP. After a season full of (some) ups and (mostly) downs- including many issues (covered by Indy Ball Island) – the Mustangs defeated the Blazers to capture the Thoroughbred League Championship in Nicholasville, Kentucky. Indy Ball Island would like to congratulate all of the champions this season! ROCHESTER, Mich. – August 1, 2017—The United Shore Professional Baseball League (USPBL) announced that Randy Dobnak, pitcher for the Utica Unicorns, Kevin Marnon, pitcher for the Birmingham-Bloomfield Beavers, and Taylor Grzelakowski, catcher for the Utica Unicorns have all been signed by the Minnesota Twins organization. Dobnak, Grzelakowski and Marnon are the third, fourth and fifth USPBL players signed to a MLB contract this year. Overall 18 players have been signed by MLB organizations since the league’s inaugural season last year. Randy Dobnak, a 22-year-old, 6’1”, 215 lb. right-hander from Pittsburgh, Pennsylvania, appeared in 6 games this season for the Utica Unicorns. He compiled a 3-0 record, with 29 strikeouts over 35 innings and an ERA of 2.31. Dobnak joined the USPBL’s Unicorns following a collegiate career at Alderson Broaddus University in Philippi, West Virginia. Kevin Marnon, a 23-year-old, 6’7”, 240 lb. left-hander pitcher from Shelby Township, Michigan, appeared in 16 games with 18 innings pitched, 29 strike outs and an ERA of 1.50. Marnon joined the USPBL after pitching as both a starter and reliever at Ball State University. Tayor Grzelakowski, a 5’11, 200 lb. 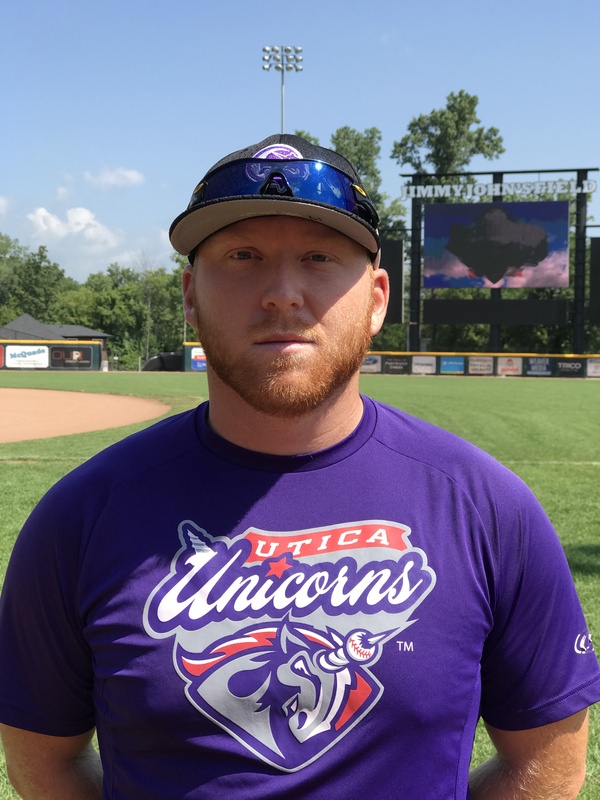 catcher from Fraser, Michigan, Grzelakowski joined the USPBL’s Utica Unicorns following his collegiate career at Madonna University where he led the Crusaders in home runs, RBI’s and batting average. 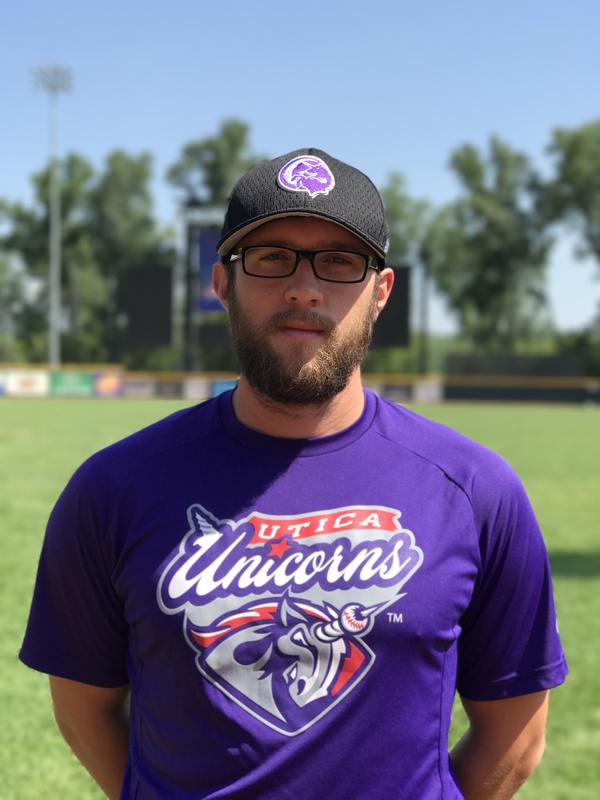 Grzelakowski appeared in 29 games this season for the Unicorns and was leading the league in home runs with 9. In 108 at bats he hit .306 with 7 doubles and 23 RBI’s. “We are absolutely thrilled to have three more of our players signing by Major League Baseball (MLB) organizations,” said Andy Appleby, Commissioner and Founder of the USPBL. “These players are textbook examples of what we are trying to achieve with player development in the USPBL. Our goal is to make every player better and see them succeed at the next level and beyond,” Appleby added. Rochester, MI-based General Sports and Entertainment founded the United Shore Professional Baseball League (USPBL), an independent professional baseball league, in Metro Detroit in 2015. The league plays in the new, state-of-the-art $16 million ballpark named Jimmy John’s Field located in downtown Utica, Mich. The first of its kind for the region, the USPBL provides a fun and exciting family atmosphere while showcasing top baseball talent to fans of all ages. The inaugural season of the USPBL, which began on Memorial Day 2016, featured three teams—the Utica Unicorns, the Eastside Diamond Hoppers and the Birmingham Bloomfield Beavers, from which 13 players were signed to contracts by Major League organizations. The 2017 USPBL season features four teams with the addition of the Westside Woolly Mammoths, and the season began on May 11, 2017 and runs through September 10, 2017. Additional teams and ballparks will be added in future years.